This medical malpractice claim was filed in Anne Arundel County after a woman suffered paralysis and incontinence due to a negligently placed spinal cord stimulator. It was filed in Health Claims Arbitration on March 19, 2018, and it is the 135th medical malpractice case filed in Maryland this year. A woman presented to an orthopedic surgeon at the Maryland Specialty Surgery Center to undergo a spinal cord stimulator placement procedure. Ninety minutes after the surgery was completed, the woman was discharged home despite complaints of pain. Two days later, the woman began to feel weakness and numbness from her torso down to her feet. An ambulance transported her to the University of Maryland Medical System Shock Trauma Center, where she was found to have an obstruction near her spinal cord stimulator. The woman was taken to surgery in order to evacuate the collection of blood in her spinal canal which was compressing her spinal cord and nerves. During surgery, her spinal cord stimulator was also removed. Unfortunately, the corrective surgery was not able to reverse the woman's injury. As a result of the allegedly negligently placed spinal cord stimulator, the woman suffered a permanent neurological injury, resulting in complete lower body paralysis as well as bladder and bowel dysfunction. Spinal cord stimulation is a technique for treating chronic pain that cannot be relieved through more conservative forms of treatment. A spinal cord stimulator blocks the sensation of pain by continuously delivering a low electrical current to the spinal cord. Patients must meet a variety of criteria in order to qualify for spinal cord stimulator placement. The placement procedure is a surgery like any other, with possible risks and complications. Because surgery is a relatively dramatic treatment option for chronic pain, patients must demonstrate that other more conservative treatments, such as injections or therapy, were not able to relieve their pain for a minimum of six months. This looks like a really tough case for plaintiff even if she had a lawyer. Recommending and performing an unnecessary procedure. Failing to obtain and assess coagulation studies prior to surgery. Failing to stop the claimant's medications, including selective serotonin reuptake inhibitors, prior to surgery. Failing to appropriately recognize and appreciate the claimants increased risk of bleeding. Failing to utilize proper surgical techniques. 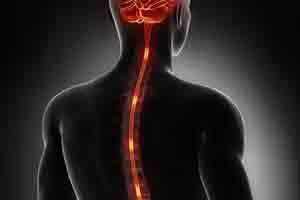 Failing to recognize that there was insufficient space in the claimant's spinal canal for a spinal cord stimulator. Failing to properly place, adjust, and program the spinal cord stimulator. Failing to detect, diagnose, and treat intraoperative and/or postoperative bleeding. Failing to timely obtain consultations and perform corrective surgery. Failing to adequately inform the claimant of the risks involved in surgery. As a direct result of the defendants' negligence, the claimant suffered an irreversible and disabling physical injury. View sample verdicts and settlements from other medical malpractice lawsuits filed in Anne Arundel County. Learn about other types of surgical malpractice. Take a look at another malpractice claim involving a negligent spinal cord stimulator implant.